Some people are lucky. They find a job/career they absolutely love. The luckiest are those who find it early in life. I think those who are the next luckiest are the ones who find that job they love after years and years of drudging away in jobs that just get them by. I count myself in the last group. My dad and my brother were always talking airplanes, so I grew up with an appreciation for aviation. Of course, the love of my life – my husband, Jim – has been in aviation his whole career. In 2008, I started working at Kalitta Air and began my own career in aviation. Better late than never! One of the main reasons I enjoy my job so much is that the owner of the company is a hands-on individual who surrounds himself with people who would walk through fire for him. Why? Because we all love him – that’s why. 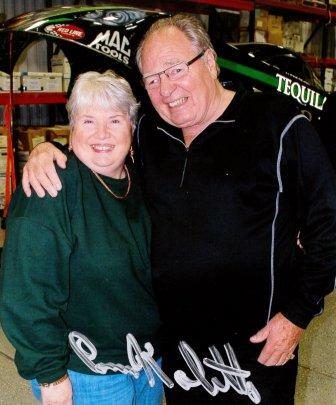 We know that Connie Kalitta is a stand-up guy who appreciates his people. We aren’t numbers to him – we’re people. That would be enough. 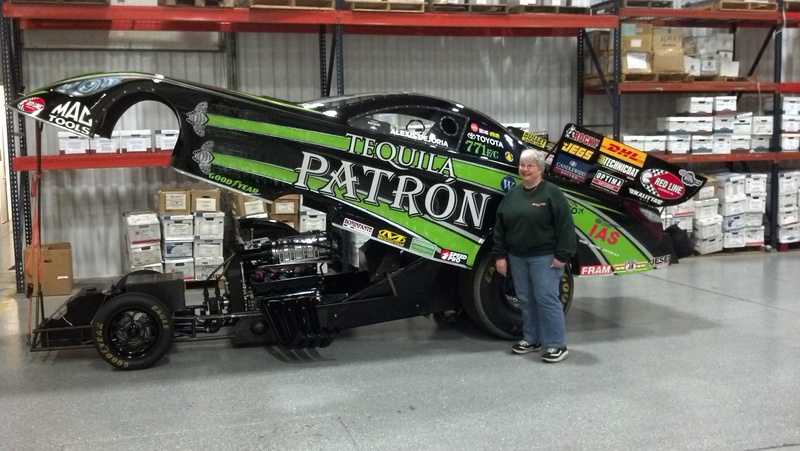 There’s more to Connie Kalitta, though. He’s a bona fide legend. 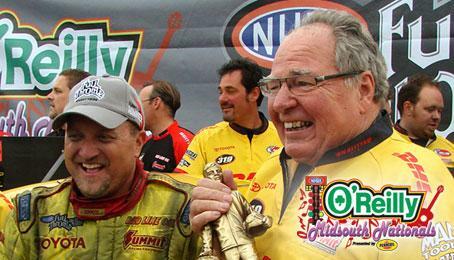 Connie “the Bounty Hunter” Kalitta has been an icon in the world of professional drag racing for over 50 years as a team owner. Kalitta, who has been involved in the sport as a driver, tuner, and as an owner, has dedicated an amazing amount of time and resources to building one of the most successful teams in the history of auto racing. Kalitta Motorsports has won five world championships. The first came in 1977 when he served as crew chief for Shirley Muldowney. He earned the next two, 1979 and 1982, when he drove to IHRA championships. The last two came as team owner of Kalitta Motorsports when his late son Scott drove to the NHRA titles in 1994 and 1995. Connie’s experience in the airline industry goes back to 1967 when he began transporting parts for the automotive business with a twin engine Cessna 310 (purchased with his race winnings) that he piloted himself. 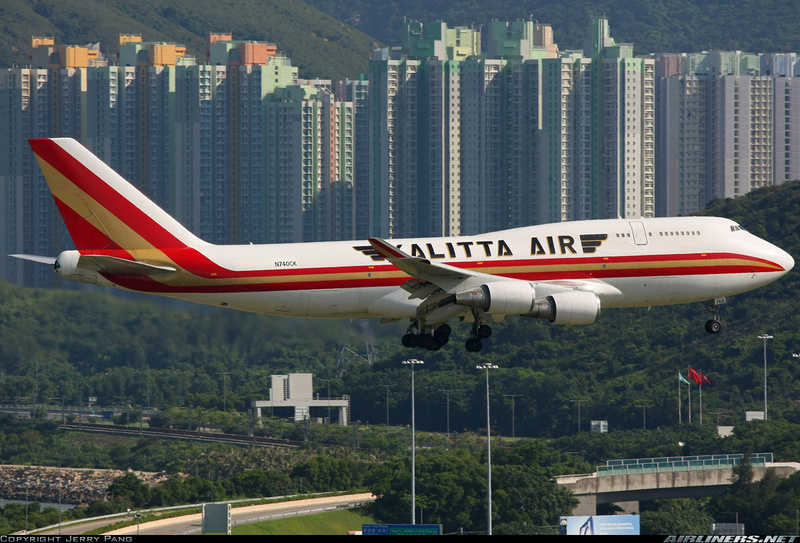 Over the years, Kalitta grew from a one airplane operation into American International Airways, Inc. (AIA), that used B747, L1011, DC8, B727, DC9, Twin Beech and Learjet aircraft in worldwide airfreight, air ambulance and charter passenger operations. AIA supported the Desert Shield/Desert Storm operations with award-winning efforts. In 1997, AIA merged with Kitty Hawk, Inc. and Connie resigned from the company and the Board of Directors to pursue other interests. When Kitty Hawk International (the former AIA) ceased operations and filed Chapter 11, Connie fought to purchase the Aircraft Certificate and resurrect the airline. Kalitta Air received its DOT and FAA authority to begin operations in November 2000 and immediately began revenue service. Connie quickly obtained the necessary approvals from the government and secured contracts with the USPS and the DOD. After the terrorist attacks on September 11, 2001, when airports were closed and all flights were grounded, there was one plane in the sky that night that was not an F-16 fighter. It was a Kalitta Air 747 hauling relief supplies from the West coast to aid disaster workers. 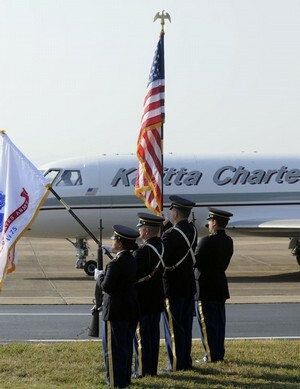 In 2003 Kalitta was awarded a Certificate of Appreciation for support of the Enduring Freedom and Iraqi Freedom Operations and Kalitta continues to support the USPS with scheduled flights delivering mail and packages to the soldiers in Iraq and Afghanistan. This is the man I work for. Unlike so many who have large businesses, Connie is here, on-site, almost every day. He’ll always wave and smile when you see him walking through the hangar. Up close, he’s quick to say hello. I’ve never felt as appreciated nor known where I fit in the grand scheme of things as much as I do at Kalitta Air. When the man at the top is quick to show his appreciation with luncheons and family picnics, you know you are valued. Connie has been very generous. When things are going very well for the airline, paychecks have been known to reflect that fact. No wonder virtually every employee reveres the man. We know where we stand with him and he knows we’ll work our hardest and best for him. A great example of how Kalitta Air shows its appreciation is the party that was thrown in our hangar on October 12. They were racing the weekend that had been set-aside for the Kalitta picnic, so they cancelled it and brought the party to us. There were door prizes (including large, flat-screen televisions, Ipads, Ipod docking stations, and apparel from all the companies). Kalitta Motorsports also brought over one of the Funny Cars. Lest I make Connie sound like an angel, let me point out right away that he is a hard-nosed business man. He knows every inch of his aircraft (which he could also pilot in a pinch) and has his finger firmly on the pulse of his businesses. He has an expectation that things will be done right. If something isn’t done up to his standards, he’ll let you know – in no uncertain terms – and in the strongest possible language. No, Connie is no angel; but he’s one hell of a boss. That is what it’s like to work for THIS legend! 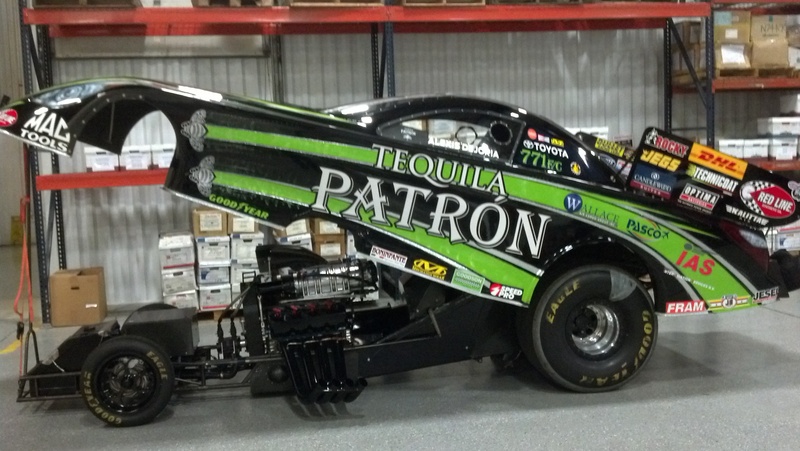 This is the Patron show car. It was formerly (and could easily once again be) ready for the track. 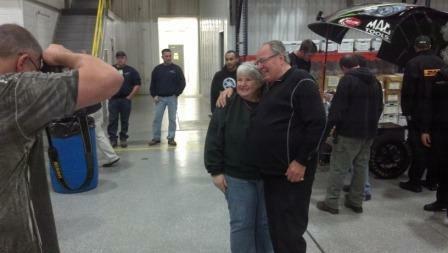 Here’s a photo taken with Doug Kalitta. 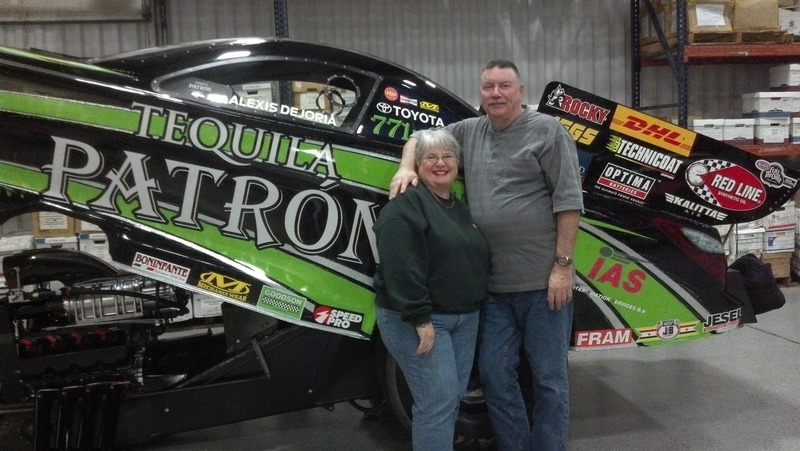 Doug drives the Mac Tools Top Fuel dragster. Doug has earned 31 wins over his 12-year career. Would you like to subscribe to my blog? (Oh, yes, it’s free!) Hopefully, you have already clicked on the title and are now directly in my blog page. If you have not gotten to the blog page, click on the title of the Posting and it will take you to the blog. From there, follow the WordPress prompts to subscribe. I hope you will. I also hope you will jump in and comment on my posts. My “little boy” (Bear) graduated from Obedience School! To catch those of you who haven’t been following my blog since Bear joined the family … Bear is our newest family member. He came from a very loving home when he was almost a year old. As I said, his former family loved him, but they had three young children and Bear was still a very rambunctious boy. 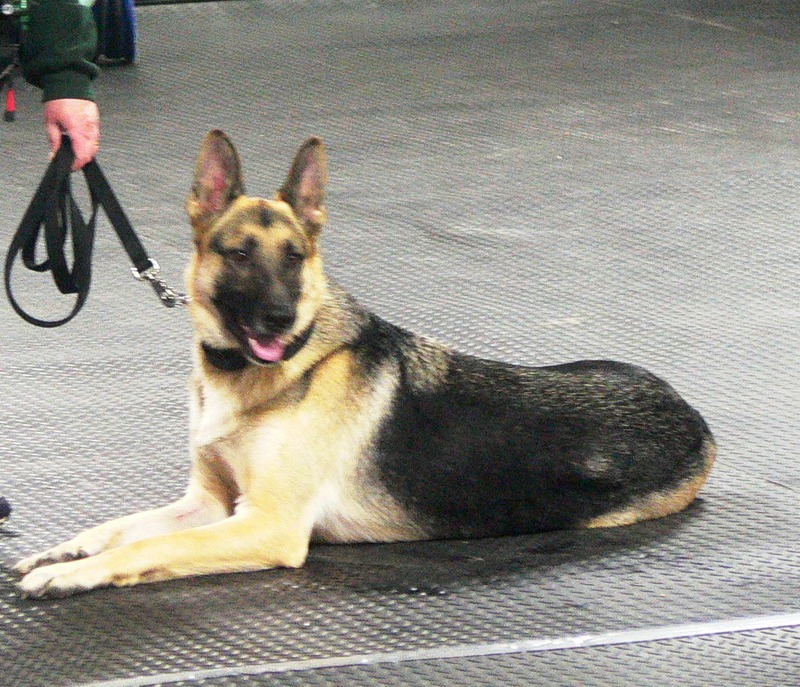 He loved to run and jump – in other words, he was a German Shepherd puppy! (I have to add here that Bear STILL is very much a puppy. Only his body has grown up.) His former people knew that he needed to be able to run and play and to keep him leashed or crated in order to keep him from knocking very young children over was just not fair. They loved him enough to allow us to adopt him. 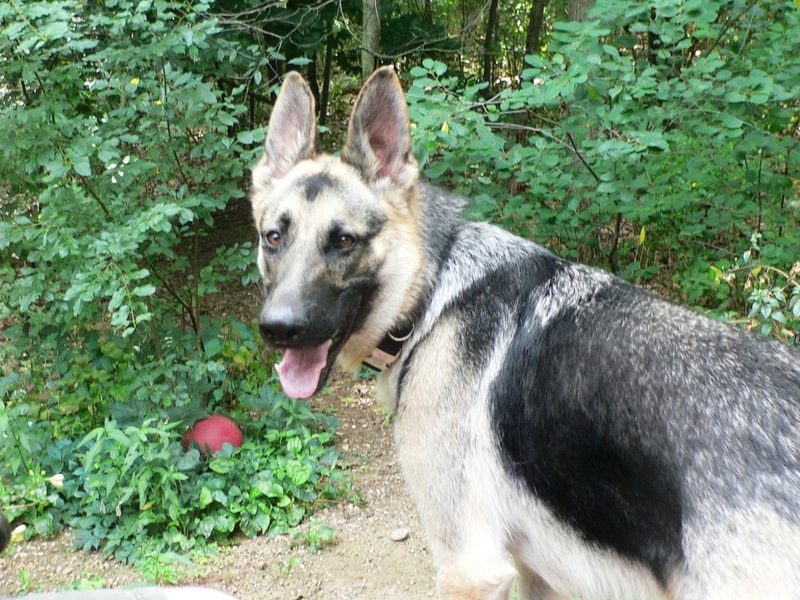 We have a large, fenced yard and another German Shepherd Dog for him to play with. 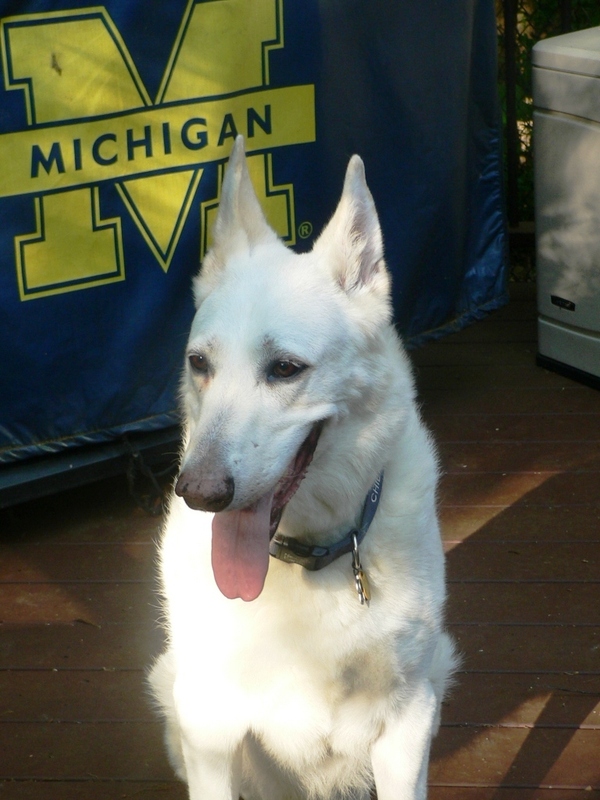 We had just lost our beautiful, white German Shepherd Dog, Chief, to cancer, and we were all (including our dog, Sydney) heartbroken. Bear was just the tonic we all needed to start mending our hearts. 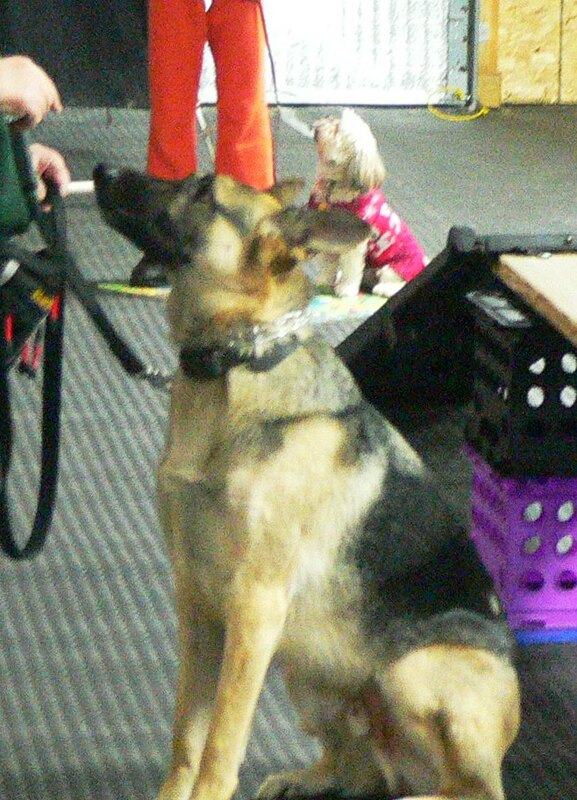 He’d been to “puppy school” and knew some commands, but his natural exuberance made it hard for him to concentrate. 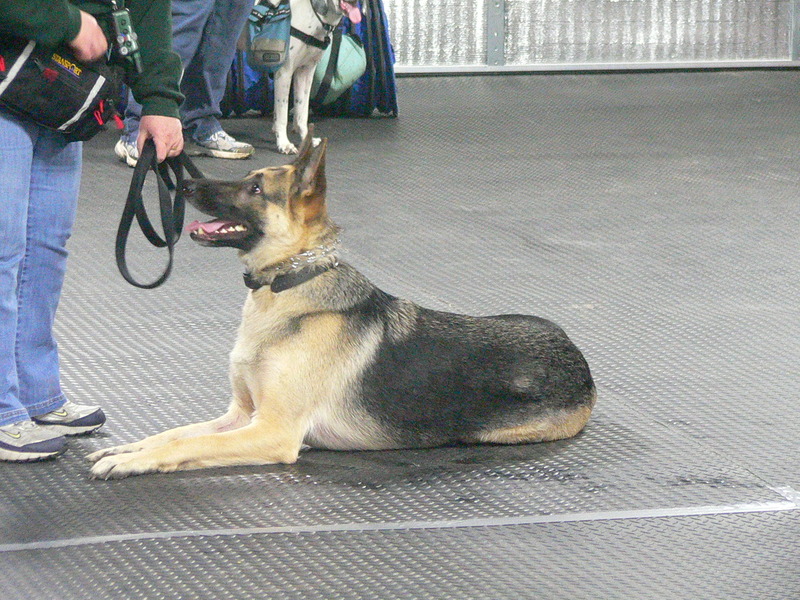 Earlier in the year, Bear and Sydney both started Obedience School at Attaboy Dog Training. Due to a freak accident that cost Bear most of his tail, we had to pull the dogs out of class. To be fair, our much older dog, Sydney, never was too thrilled with school. 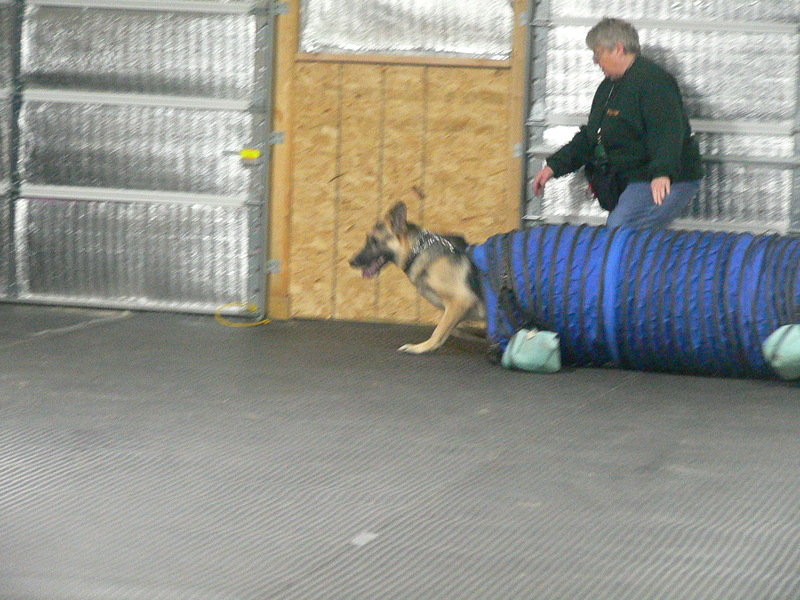 I was delighted to find out that Bear could join the most recent class to finish out his training during the final three weeks of the standard course. Bear had learned to master the “A-frame” and the “elevated walk” during his training in the spring, but we were concerned he might have forgotten how to get over them. 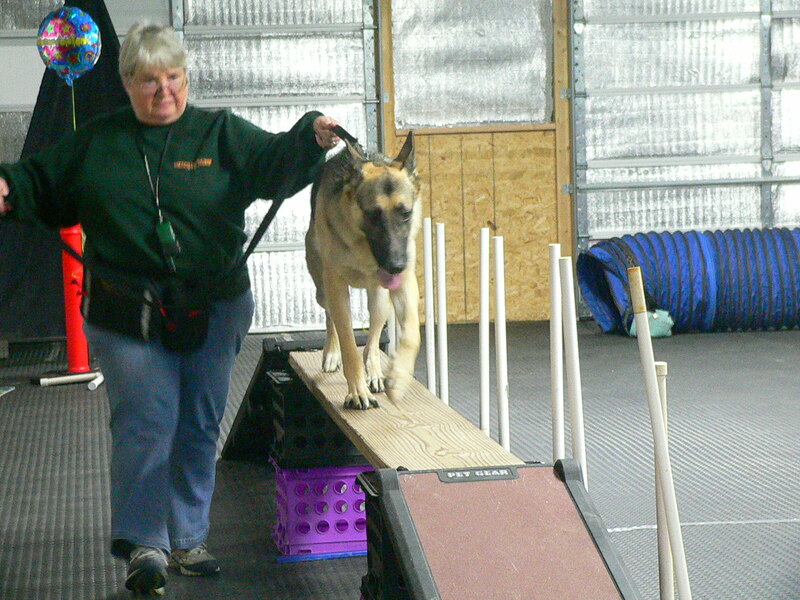 He’s not always been the most confident dog and obstacles had concerned him a bit in the past. I was so proud when he remembered how to go over them. For some reason, the tunnel was never frightening, so he took right to that again. Saturday, October 13 was Graduation Day. There were eleven other dogs in class with us so we had enough to play “doggie games.” The first was Tic-Tac-Toe with dogs. Half the group was “sitters” and half was “downers.” The idea was to take a square by getting your dog to either sit or lay down and stay there. If a dog got out of its prescribed position, it had to leave the board. As you can guess, much confusion and hilarity ensued. Come to think of it, I don’t think we ever actually finished that game. We played “Musical Mats” (a take on musical chairs). The idea here was to walk in a big circle and when the music stopped rush to a vacant mat and get your dog to sit. Each round, the last to get to a mat and sit was eliminated. 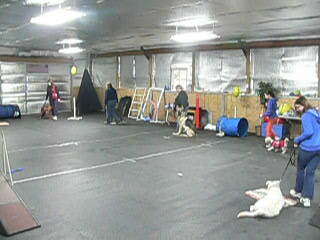 I have to say that all the dogs were very well behaved during this game. Some of the humans, on the other hand, seemed to think they were playing hockey and were almost body-checking each other off the last mat. Again, it was all very good-natured and the dogs seemed to find their humans rather comical. Another game was “Sit/Stay.” The idea here was to get your dog to sit and stay while all kinds of distractions were passed around them. 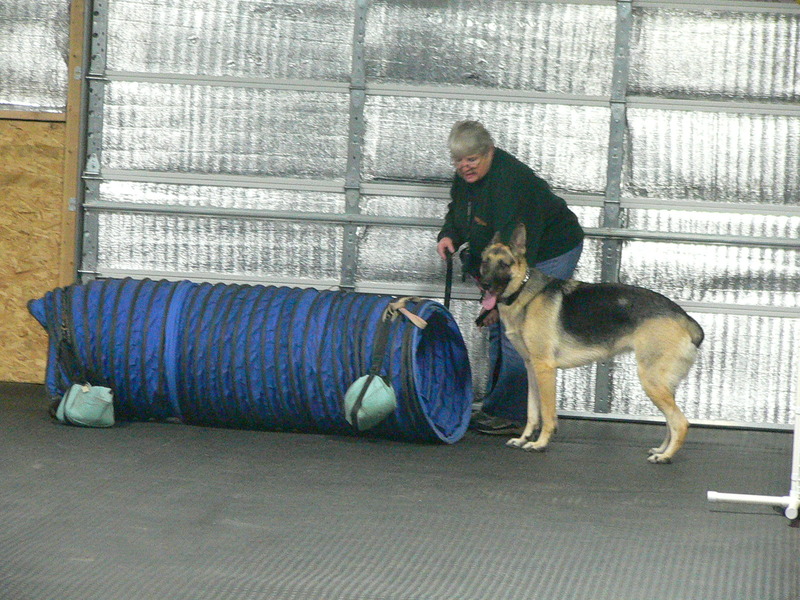 Distractions included the trainer walking around with squeaky toys, rolling balls, clapping, and moving in erratic ways. As each dog stood, it was eliminated from the game. 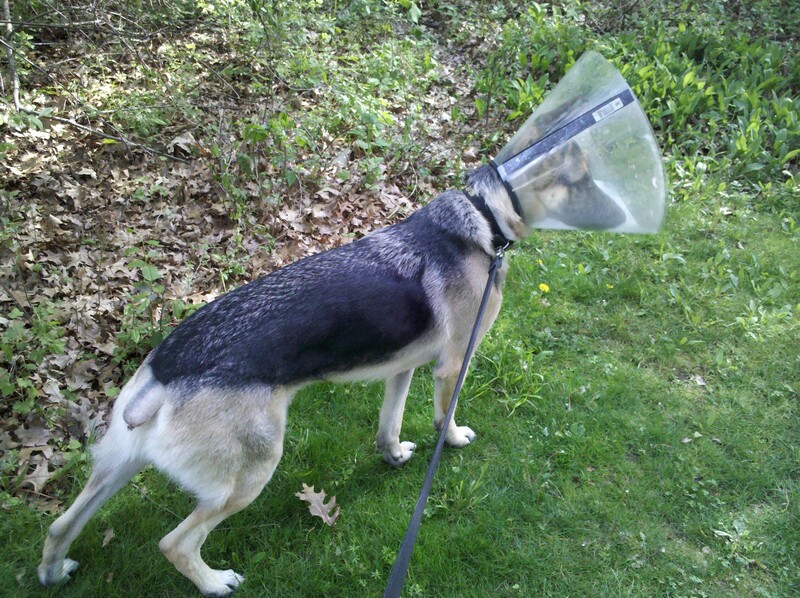 German Shepherd Dogs, generally, have an innate need for structure. Confusion and distraction are not easily tolerated. They are herders. They want things to be calm and in their proper place. That’s why I was so incredibly proud that Bear was the last dog sitting. He noticed the distractions, but he kept his focus on me and won the game. Way to go, Bear!!! So, my boy has now graduated from Obedience School. We both really had a great time and I think it’s very good for us to have a structured class together. 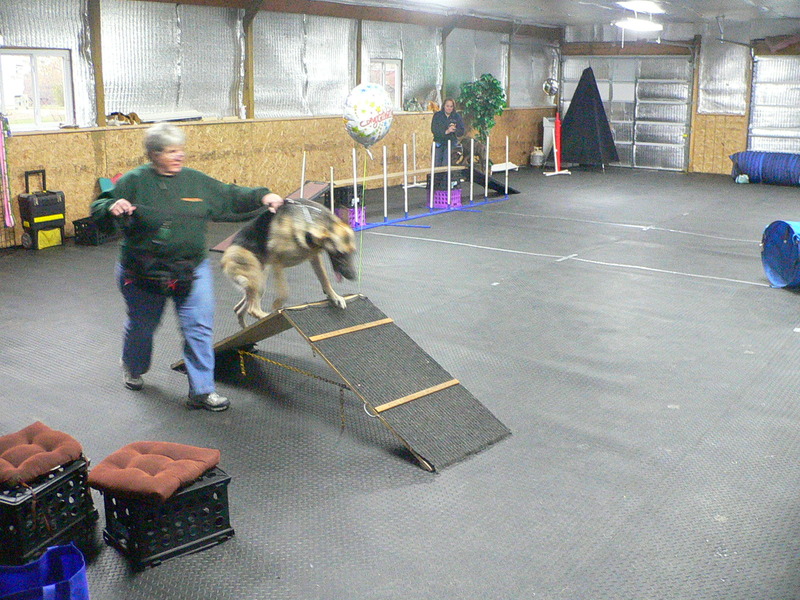 I think the next step will be a course coming up later in the year (or the first of the new year) which is “Agility for Fun.” I don’t think that Bear will ever be one to compete, and I know I’m not in shape for that at this point, but a class that has fun as the objective seems right up our alley. I know Bear also enjoys being around other people and dogs. (We are so blessed that he’s so gregarious and sweet-natured.) With the weather we generally get during the winter, this would be a great way for us both to be able to get out with other dogs and dog-people.